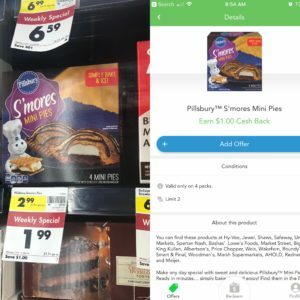 $.99 For Pillsbury Mini Smores Pies at Smart & Final With Checkout 51 App! If you are heading to Smart & Final to do the cereal deal or any other reason-grab 2 of these S’mores Pies for $1.99 each and get $2 Cash Back! If you are new to Checkout 51-Download the app through this link and get a Bonus $5 Cash Back! Baby and Toddler Printable Coupons! Silk Almond Milk Only $1.49 Each at Target! Dollar Tree Mardi Gras Decor!